State water officials announced Wednesday they will pursue staged construction of a proposed multibillion-dollar water-delivery project, leaving water agencies in Southern California to decide if they want to continue supporting the effort. 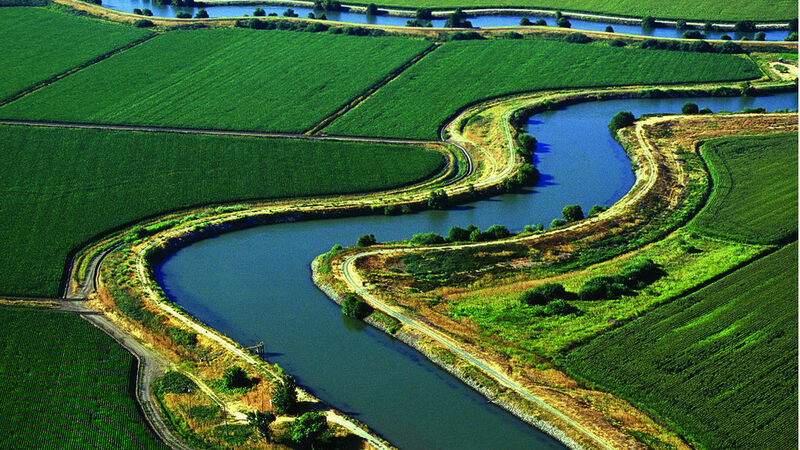 The $16.3 billion project, known as California WaterFix, would divert water from the Sacramento River as it enters the Sacramento-San Joaquin Delta and carry it to existing federal and state pumping stations in the southern part of the delta through two 35-mile tunnels. But in the face of funding shortfalls, state Department of Water Resources Director Karla Nemeth announced Wednesday the agency plans to pursue a staged construction approach, building only one tunnel initially, along with two intakes with a total capacity of 6,000 cubic-feet per second. In October, the board of the Metropolitan Water District of Southern California, the region’s wholesale water supplier, voted to commit about $4.3 billion toward the project. The agency’s support was considered key to the project’s success. But with overall funding still falling short, the agency will have to consider whether it wants to financially support the staged approach. It was unclear when that decision will be made. According to the state, moving ahead with a single first stage of the project would cost about $10.7 billion. Some environmental groups have opposed the project, including the Sierra Club and Food and Water Watch, which argue the tunnels could be harmful to the environment and not worth the cost. Gov. Jerry Brown supports the project, saying it will help the environment by protecting fish and also securing a more reliable delivery system for the water.